If you are planning a trip to Bruges in Belgium, you absolutely must visit the old centre, which is classed as a UNESCO world heritage site. 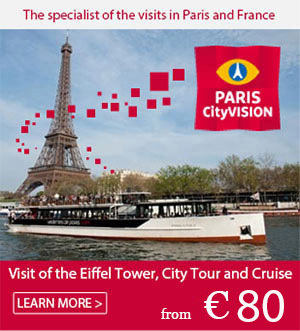 And with good reason too, as the city’s cultural heritage is extremely impressive. Medieval architecture has been preserved alongside urban additions and developments to make Bruges one of Belgium’s most prized cultural treasures. This medieval city in the heart of the Flemish region is in fact the most visited place in the entire country. It is thought to be one of the most beautiful cities in Europe and has been nicknamed ‘The Venice of the North’ for its bridges and canals which attract close to 3 million visitors annually, who take canal boat tours throughout the summer season. The influence of cultural and economic exchange with the rest of Europe has left its mark on Bruges. Trading links were forged with Scandinavia during the Gallo-Roman period, and the creation of a port and commercial centre connected Bruges with the rest of medieval Europe, starting with Great Britain. It was during the 15th century that this prosperous city, buoyed by commercial and cultural links, became a hub for Flemish art. This was affirmed by artist Jan Van Eyck, who helped establish the school of early Netherlandish painters and was highly influential in the European art world at the time. The city also boasted a patronage centre and contributed to the development and diffusion of painting through its art school by supporting innovative contemporary artists. The historic centre encompasses the city’s entire fortifications and has managed to retain the same boundaries as the old city, even after all this time. 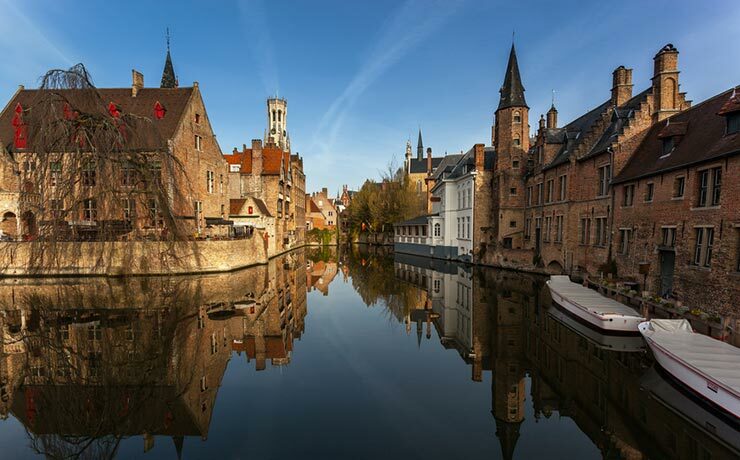 Natural and artificial canals built in the Middle Ages criss cross through the city centre, giving Bruges a certain charm and imparting a romantic, poetic air. Some areas such as the Burg Square and the Market Square have taken on a special significance. The Burg Square is one of the highlights, symbolising the alliance between civil and religious authorities for over a millennia. It is also the seat of many public institutions, including civil justice departments. The Market Square is the home of the market halls, the belfry and the Waterhalle, a symbol of local authority. Bruges’s architecture is predominantly Gothic, with brickwork dating from the Middle Ages, and is principally in the travée bourgeoise style. Later, the arrival of rail transport in Bruges during the 1830s radically changed the city’s urban landscape. There were plans to replace the medieval buildings with Haussmannian architecture, but this only happened in the area around the new theatre, which no longer bears any trace of its medieval past. In the late 19th century, attempts were made to restore Bruges’s historic buildings and its artistic heritage. Many of the buildings’ façades were restored by English architects who drew on a unique Neo-gothic style inspired by the original Gothic spirit of the old city. This architectural fusion makes it possible for us to retrace the major stages in the trade, culture and religion of medieval Europe. Bruges is bursting with cultural treasures, including three UNESCO world heritage sites: the Flemish Béguinages, the Belfries of Flanders and Wallonia, and the Historic Centre of Bruges. The Flemish Béguinages are a group of houses, churches and other spaces which are representative of the Béguine tradition in Belgium. The Beguines were women who joined an independent religious order without taking full vows and who lived in seclusion. The Belfry of Bruges is a structure measuring 83 metres in height and offering magnificent views for anyone willing to climb its 366 steps. It houses a Treasury, or secure vault, and the municipal archives. Moreover, the impressive clock mechanism contains a carillon of 47 bells. The Church of Our Lady boasts a 122-metre-high brickwork tower which is the tallest in Europe. It is home to Bruges’s most celebrated work by Michelangelo, the Madonna and Child of Bruges, located above the right-hand altar. The tombs of Charles the Bold and his daughter, Mary, Duchess of Burgundy, can be found in the choir. Saint Salvator’s Cathedral was built in the Gothic style, and has three naves, a choir, an ambulatory and five chapels from the Middle Ages. It is the oldest church in Bruges and is ornately decorated with mausoleums, ancient artworks by Flemish artists such as Dirk Bouts and Hugo Van Der Goes, reliquaries and tapestries.